What is City Wedding Guides? When two app developers get married, they look for an app to help. But most of the wedding guides we looked at considered Sacramento as part of the Bay Area, so kept suggesting vendors and venues in San Francisco. So we made our own. Brides-to-be outside of the major metro areas still have to rely on local printed wedding guides, wedding planners or making Pinterest boards from local vendors, and then making and maintaining their list of potential vendors to visit and interview. With the City Wedding Guides we’ve curated great locations and service providers, and geolocated all of them. Users can view information about all of them, add them to their Favorites, and call or email for more information, and get directions to any of them. City Wedding Guide have more than just a list of wedding vendors. We also have themed suggestions for wedding planning – rural or barn weddings, budget weddings, unusual locations and more. Ready made Pinterest boards to get a bride-to-be started. The first city launch is for Sacramento (of course). Next up will be Santa Barbara, followed by Sonoma, Napa and Livermore Valley. Why did you build City Wedding Guides? If you are a bride wanting to get married outside of a major metro area, currently there isn’t an app for that. The current apps in the field only give a token nod to areas around them. Weddings are a huge business, and the vast majority of them do not take place in New York, LA or San Francisco. Our guides are to help brides in their local home towns. We use hand curated lists of wedding vendors focused on what makes each region unique We include interesting and off-beat locations that are popular among brides, but not often included in existing wedding apps. For the Sacramento Wedding Guide, we have boat and river venues, and rural and barn wedding locations. For wine regions we’ll include wineries and vineyards, for coastal towns, beaches and boats. 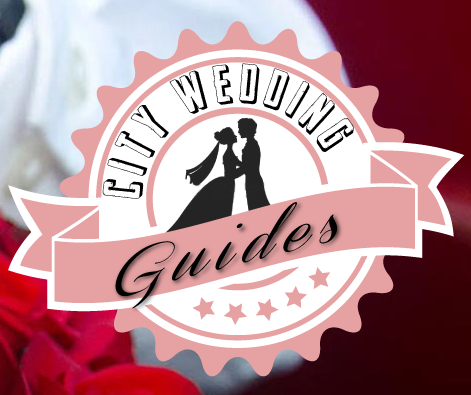 With four years of developing great apps, the City Wedding Guides will fill a niche currently empty. Ross and Heidi started making apps almost by accident. Originally their first app was a collection of reviews of children’s books published by the Sacramento Book Review. Using the same code, Ross made a quick and dirty guide to the wineries of Livermore Valley one morning just before heading there for wine tasting. With support from Wente Vineyards, the Livermore Valley Winery Guide was released, and GoLocalApps was in business. Since then, GoLocalApps has released more than 90 apps, with several best-sellers. Clients include the Santa Barbara Vintners Association, the Sacramento Metro Fire Department, numerous cities and downtown associations around the country. Heidi Komlofske-Rojek – With more than 20 years in environmental engineering marketing, the shift to app development may have been an odd one, but with 5 best-selling apps in 4 years, a good move. Ross Rojek – Former comic book retailer, newspaper publisher, and now app content and strategy developer.